In Indonesia, the Honda Tiger GL200 is a popular commuter bike—a simple and low-cost thumper with nondescript plastic bodywork. Actually, ‘nondescript’ is not the right word: it’s an eyesore. 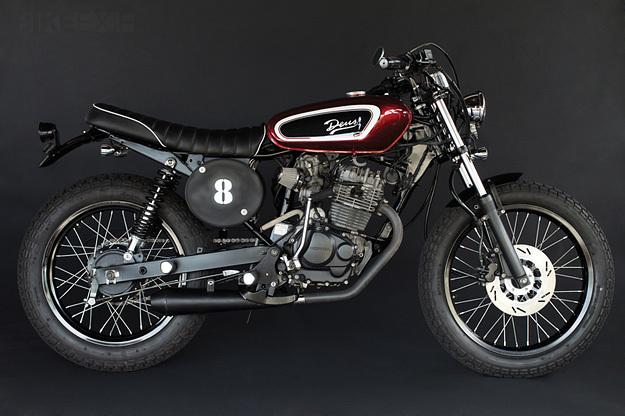 According to Deus Bali, “the bike comes out of the Honda factory looking pretty ugly. 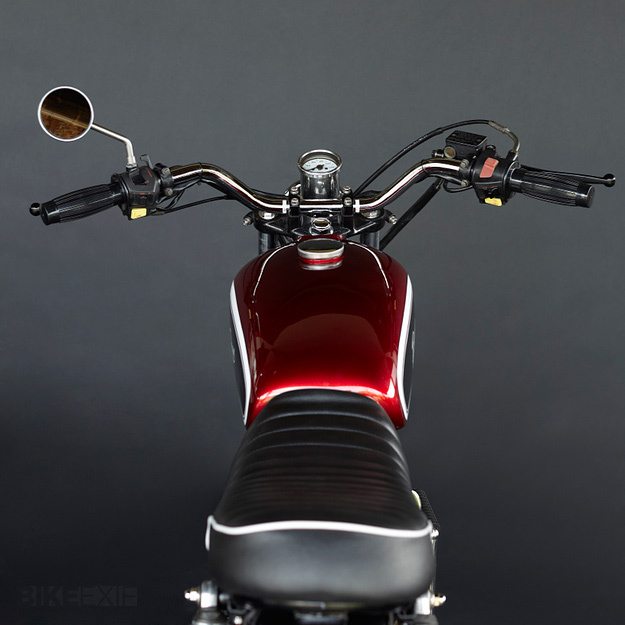 It’s covered in spaceship-esqe plastic covers and faux chrome pieces, which do it no justice.” So Deus stripped the Tiger down until it was nothing but frame and brackets. They then ground, welded and molded the chassis, binning extraneous mounts and beefing up where required. The result has been dubbed the ‘Tiger’s Milk’, and the bike you see here is the first of three, with a comprehensive spec sheet including a custom tank, exhaust, seat and fenders. 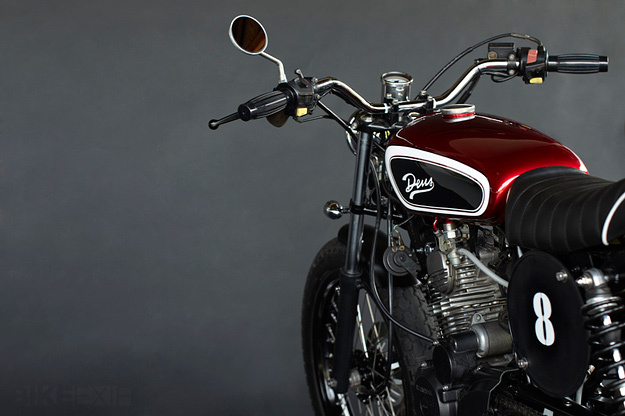 The headlight is from a Harley-Davidson, and the taillight is from Posh Factory in Japan. A Daytona speedo is mounted on Ventura bars, fitted with BSA grips. The engine breathes a little easier thanks to a K&N air filter, while Icon shocks keep the back end under control. 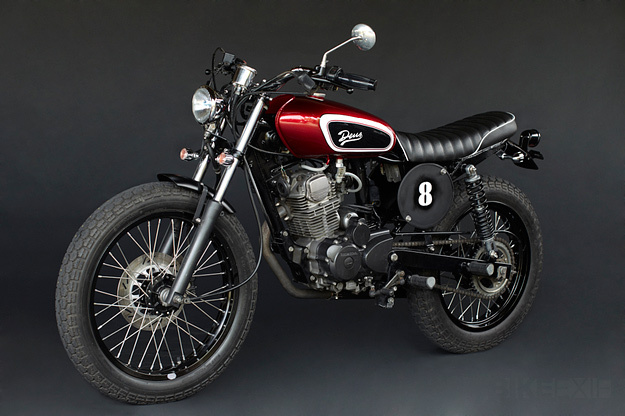 Deus Bali has transformed the humble GL200 into the kind of bike you just want to jump on and ride, and the price is a reasonable 70,000,000 Indonesia Rupiahs—just under $8,000. Indah!